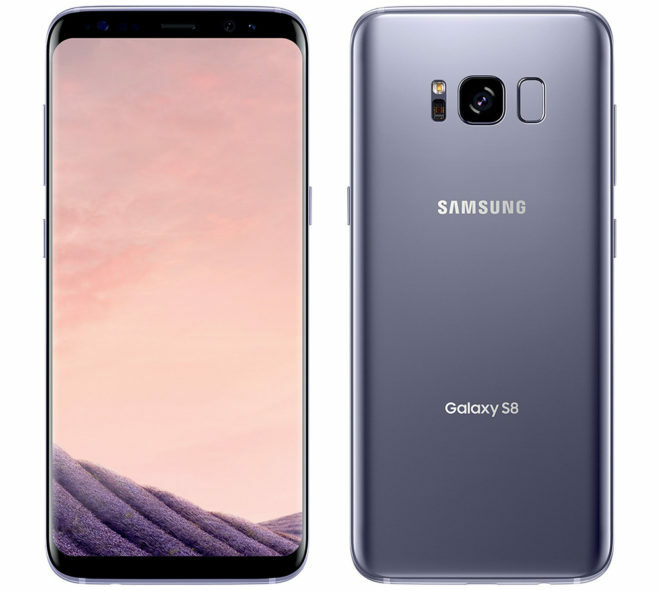 As expected, T-Mobile today launched a Samsung Galaxy S8 Buy One, Get One deal. Starting today, May 12, customers can purchase a Galaxy S8 or S8+ and get a Galaxy S8 for free after rebate. To qualify, both phones will need to be purchased on EIP. You’ll also need an qualifying rate plan, which means T-Mobile One for new customers while existing customers can have either T-Mobile One or Simple Choice Unlimited. Pricing for the Galaxy S8 is set at $30 down and $30 per month for 24 months, while the Galaxy S8+ is $130 down and $30 per month for 24 months. Once you meet the offer requirements, you’ll need to point your web browser to the T-Mobile Promotions Center and enter the promo code 17SAM8BOGO within 30 days of activation. T-Mobile will then send you a prepaid MasterCard card worth $750 to cover the cost of your second device. That’ll be the prepaid card value no matter whether you choose a GS8 or GS8+, so folks that choose the latter end up paying $100 for their Galaxy S8+. T-Mobile isn’t revealing how long this promo will last, saying only that it’ll be around for a limited time. The Samsung Galaxy S8 and S8+ are two new flagship smartphones and they’re also two of the best phones on the market now, so getting one for free (or close to it, in the case of the GS8+) is a pretty nice deal. You do need to add a line to take advantage of the offer, and that’ll likely deter some folks, but if you’ve been thinking about adding a line to T-Mobile, now may be the time to do it. Don’t trade it in! Sell it! You won’t even get half the value if you trade in. Does any one know if I’m able to take advantage of this and they’ll buy me out of at&t if i trade in my current phones? I’m on Simple Choice North America. Would I have to change plans to get the BOGO? If you have one of the many Unlimited data features that were offered on the Simple Choice plans, then you’re fine. I checked the rules and it says I have to add a new line. It clearly says on the T-Mobile Promotion center after I entered my phone number, pin and the promotion code that I need to add a new line. Here is what it says” Limited time offer; subject to change. Financing agreements for both devices, qualifying credit, and a new line of qualifying service required.” straight from the terms and conditions which you must accept to proceed with the deal. You don’t have to add a new line. You can upgrade two lines, or upgrage one and add one or add two. This is the text when you click to upgrade your phone online and the promo link appears at the top of the page. 1. Upgrade your line to the Samsung Galaxy S8 or Galaxy S8+. 3. Pay sales tax and any applicable down payment. 4, Receive the value of a Galaxy S8 on a Prepaid MasterCard® Card. Or, call 1-877-772-2495 to have a rep help out. I read this as well. Can I drop the new line shortly after signing up? Or will I be forced to keep the extra line for 2 years? You can, just make sure you don’t have any free lines or promos that will be affected by canceling a line. Otherwise you’re good. Just like the tablets they give for free you pay a couple months they pay it off once the cars gets in. I was told by a rep yesterday that free lines only apply to the lines you had up until then. So if you had two lines, then got a free one those are the only ones you need to keep to take advantage of the free line. If you add a fourth line it doesn’t affect the free line and you are able to cancel it without losing the free line. I’ve heard this as well, but I’ve also heard the opposite. And it goes against the terms of the promo. Can’t cancel any lines, or change plans if you want to keep the free line discount. Not worth the risk when there’s no solid answer available. I spoke with about a half dozen employees yesterday (text, phone, store) and never got the same answer two times in a row. The whole thing has me hesitant to make any changes. Yeah agreed. Similar to their botched 2 free line offers of October 2016. Disagree. I have the two free lines and it would be worse with a gift card than it is with a line credit. It’s great. Which is incompatible with this BOGO deal, I should add. Incompatible how? I’m trying to enter the promo for the last day and it keeps saying unable to process request. Is that what you mean? Samsung have their own B1G1 deal too for Tmo. How is it different than T-mobile one? This Deal is going to be a huge one. Wow, this is great. Can’t imagine how Samsung S9 will look like.